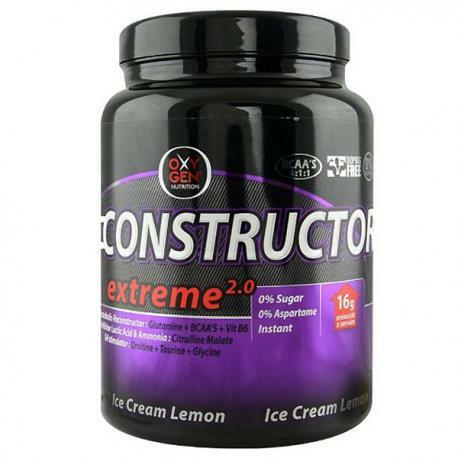 ONSTRUCTOR Extreme V.2 is a formula designed by athletes for athletes. Hand in hand with the brand new Oxygen Nutrition, comes to the European market Constructor, just the perfect formula. We all know that it is vital to provide the muscle with food after a hard workout, and whatever your discipline or objective, any athlete layout you want to increase performance and muscle mass. Unfortunately, almost all forms of proteins or post-workout, do not have the required amount of branched amino acids, glutamine and ornithine, therefore it is needed to supplement it independently. One of the dilemmas that many athletes are involved, is which one is more important: the BCAA's or L-Glutamine. The latest research from the University of Ontario shows that branched amino acids (BCAA's) increase their effectiveness when combined with L-Glutamine, Ornithine and especially taurine (so important in the absorption of nutrients). Clearly the dilemma now is multiplied, as it is a hassle and an extra pocket, 4 products, 4 different shots. CONSTRUCTOR Extreme helps you to solve this problem, providing your muscles with super amounts of all these nutrients needed to build up. - There is nothing better to repair and build muscle cells. 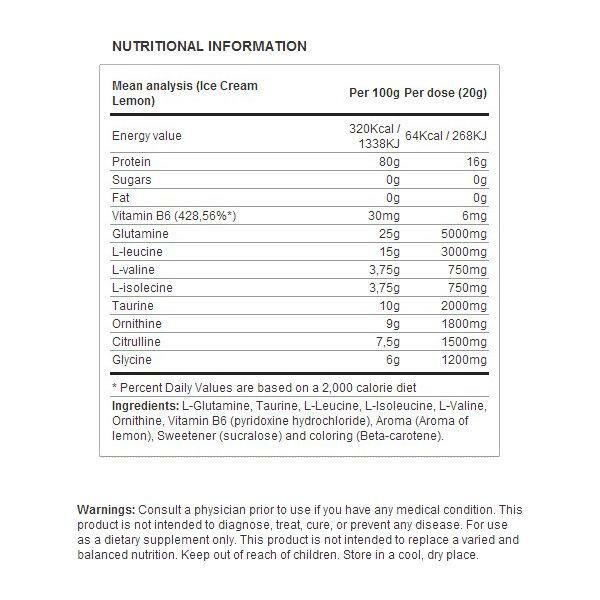 - It consists of branched amino acids (BCAAs), glutamine, taurine, ornithine and Vitamin B6.